The new LEICA DG VARIO-ELMARIT 12-60mm / F2.8-4.0 ASPH. / POWER O.I.S. 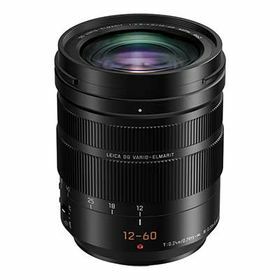 (35 mm camera equivalent: 24-120 mm; 5x zoom range), a new standard length zoom digital interchangeable lens, is the first lens to be introduced from Panasonic’s LEICA DG VARIO-ELMARIT F2.8-4.0 series. It fully covers a variety of daily shooting situations, from dynamic landscapes to portraits even in low-lit situations or providing a beautiful defocus effect by taking advantage of the F2.8-4.0 high-speed performance. In addition to the wide aperture, the POWER O.I.S. (Optical Image Stabilizer) effectively compensates for blurring, making it easy to shoot - even in dim lighting. The lens works with the Dual I.S. (Image Stabilizer) , 5-axis Dual I.S. , and 5-axis Dual I.S. 2 system when mounted on an applicable Panasonic LUMIX G camera. Notably, the new lens excels in video recording performance. In addition to the silent operation achieved by the inner focus drive system, the micro-step drive system in the aperture control section helps the camera to smoothly catch up to brightness changes when zooming or panning. The optical design achieves exceptional barycentric stability to minimise image shifts during zooming. The new lens boasts a rugged, dust and splash-proof design and is even freeze-proof down to -10?, to withstand professional use under harsh conditions. Yet, the lens is very compact, allowing easy carrying for photographers and videographers.